Remember last year when we had a Jaws giveaway included the comic, Bruce? Here’s an interview with its talented creator David Cooper. How long have you been in comics? Professionally, I think about...6 years? I made a bunch of comics as a kid, but I think it became my full time job around 2012. I'm mainly a colourist, but I like making my own comics too! Where did the idea of Jaws from the POV of the shark come from? My wife had never seen Jaws until a couple of years ago, so I showed it to her, and started idly sketching sharks in my sketchbook a day or so later. Sharks are great fun to draw! I think I was just looking for an excuse to draw more sharks. But I've always liked the idea of stories being told from different perspectives. Like, if you watch Star Wars from the Empire's point of view it becomes a really sad tale about their downfall. The thought of exploring a well known film from a different angle really appealed to me. And an animal's perspective as well, that removes the usual viewpoint even further! Have you a particular scene from the comic you are most pleased with? The three main heroes of Jaws are barely featured in Bruce – the shark doesn't care about them as individual entities – but I like the presence they have in the scene where the shark bashes against the boat. The weird drunk speech balloons coming out of the boat, I like that. Tell us a bit about the process of your adaptation? Well, luckily for me, it involved watching the film a lot! I broke it down into chunks to figure out which bits were important to my version. It's funny, the film's not really about a shark – it's about those three guys, right? So my comic doesn't cover much of the film, especially the first half. I would have loved to do something with the town meeting scene, or have some excuse to draw the mayor's jacket, but they didn't really fit in with the shark's point of view. Then was just a case of drawing it. I wanted to give it a sort of cinematic feel, so every panel is “widescreen”, there's a sort of film grain effect, that sort of thing. I had to decide where to literally adapt shots from the film and where to show a different viewpoint, that was interesting. I'm pleased with how it turned out. Originally I had considered including more with the tiger shark, establishing a rivalry between them, but I decided against it, it didn't seem to fit in with the themes I was going for. It's “shark vs man”, not “shark vs shark”. It was mostly quite easy deciding what to leave out of the film. Obviously, for starters, if it doesn't involve the shark, then it's not in the comic. I left out poor wee Pippin's death, mostly because I didn't want to kill a dog in my comic I guess. And the pier scene, I couldn't figure out a way to make that interesting from below the water, plus it wouldn't have added much. What tools/programs did you use to bring it to life? I did very rough pencils for each page – literally on printer paper, very lo-fi – before scanning them in and inking/colouring them in Photoshop. I'm mostly a professional comic colourist, so I was able to lean on those skills to match the palette of the film. What’s been the reaction to it from Jaws fans? Positive! The comic launched at Glasgow Comic Con this year and people seem to dig it. I think people like to be in on the joke, they see that cover and they instantly understand what it is. It's a nice touchstone, everyone's pretty familiar with the film, so they have a good access point for my comic. So far, no one's seemed to be disappointed I've misrepresented anything – I think it's so far removed from the film conceptually that it would be difficult to say it doesn't “match up”. Have you been a fan of Jaws long? What are your memories of that first viewing? How old were you when your first saw it? I was certainly far too young to watch it first time. My parents are cool, I think they were eager to show me masterpieces like Jaws or Alien at a young age, maybe even less than 10? I remember the appearance of Gardner's head freaking me out, I think that's the only jump scare in the movie. Obviously any kind of analysis regarding capitalism or different representations of masculinity would have swooped right over my head for years. What do you think is the continuing appeal of Jaws? It's hard to say. It's so ingrained into my pop culture understanding at this point that I find it difficult to analyse what new viewers would see in it beyond “it's really, really, really good”. I got to see it on the big screen this year for the first time and part of the joy was seeing people's reactions – some people clearly had not seen it before but were getting a real kick out of it. No matter how many times I've seen it, it still feels iconic. It's magic. Have you a favourite scene, moment, character or line of dialogue from the film? It feels like picking any lines would be a cliché, they're all so well known. I like using “Y'all know me, know how I make a livin'” when I talk about my job. Oh, and if anyone's eye colour ever comes up I'll always say they're black eyes, like a doll's eyes. I guess I'm saying I like Quint. I hadn't even realised 'til right now but it seems he's my favourite character. Favourite scene is the scar sharing scene for sure. There's something so lovely about that male bonding, where they're not trying to prove themselves anymore, it's a great scene to watch just on its own. Jaws 2 had a great Marvel comics adaptation, have you read it? I'd never heard of it! I just looked – it's drawn by Gene Colan? That's crazy! I'll have to seek it out. And we can’t talk about comic book sharks without talking about Hookjaw. Are you a fan? Sadly that's a blind spot for me, I love the style of those old British comics, but Hookjaw's a little before my time. Who are your comic book influencers? I sort of got into comics as an adult in the mid 2000s, so a lot of what influenced me is the Vertigo runs, things like Y: The Last Man or Preacher, which had recently ended. I'm a big superhero dork, but I like long stories told by a small team. Webcomics of the time were a big thing for me too, things like Dinosaur Comics, Kate Beaton, Nedroid. These days there's too much talent for me to list, it's a great time for comics. I feel like most of the great current artists follow The Daily Jaws as well! What do you think is key to a great comic? Embracing what makes comics a unique medium. Comics can tackle storytelling in ways that film/prose/whatever can't, and a lot of my favourite comics take advantage of that. It's great to see work that leans on the advantages of things like page layouts, page turns, dynamic angles. 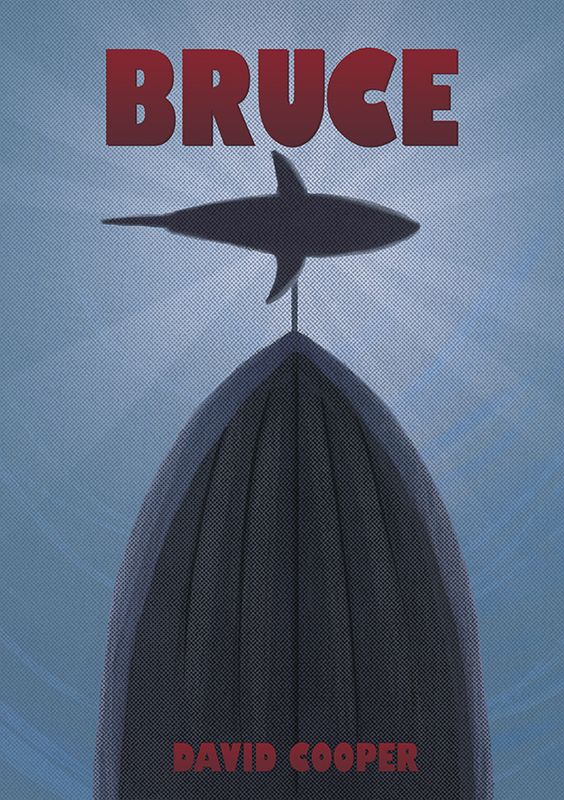 I tried to make parts of Bruce in a way only a comic could, despite its obvious film origins. How can people buy the comic? Any plans to tackle the Jaws sequels? I don't have that much affection for the sequels! For me Jaws is perfect as is. If I were to do a similar project again, it'd probably be Alien from the xenomorph's perspective. It doesn't have as clear of a catchy name though...!